#WeWantAnswersAFC – actually, we do but what are the questions? The last 12 months have had a bit of the train wreck about it for the Adelaide Crows. On 20 June 2017, the Crows sat atop the AFL ladder, the inaugural AFLW premiership cup already in the trophy cabinet. Healthy crowds, good finances, arguably the best run club in the competition. Since then, things have taken a turn: a Grand Final second half capitulation, despite entering the contest as warm favourites; a bitter separation from Jake Lever and the undesired loss of Charlie Cameron; a parting of ways with AFLW premiership coach, Bec Goddard, despite her taking a largely Erin Phillipsless side to within one uninjured Chelsea Randall of a second consecutive Grand Final; an allegedly disastrous pre-season camp that may or may not have specifically traumatised the team’s Indigenous players; and a cavalcade of injuries to key players that have precipitated a tumble down the ladder. Following another meek surrender to Hawthorn on the weekend, one Crows fan has had enough, creating the @_WeWantAnswersAFC_ Twitter account. They published a one page answer demanding manifesto, and called for a Twitter campaign on 21 June using the hashtag #WeWantAnswersAFC. Since this tweet, the authenticity of the account has been questioned (i.e. is it really a Crows fan or a Port Adelaide fan making mushrooms while the sun does not shine? ), and the owner has been reasonably lampooned as representing the worst of footy nuffydom when the chips are down. And, of course, Twitter has done as Twitter does best and already hijacked the hashtag (who can wait until Thursday?) for humorous / cheap shotting effect. While by no means ‘END OF’, this is at least part of the true crux of the matter – are club members equivalent to shareholders in a company? The short answer is ‘of course not, no’. The Adelaide Football Club is in fact an Australian Public Company with limited by shares and guarantee. The level of access Crows members have to the management of the club is to stand for and vote for the position of Elected Director of the Board. That’s it, END OF. How many Elected Directors does the Crows’ board have? I’m glad you asked. The Crows’ board can have between seven and nine directors. Up to eight of those directors are appointed by the AFL while a minimum of one is a member elected director (maximum of two). So let’s be clear here, any semblance of an idea that the Crows are set up to be answerable to members is mere fancy. The risible “Focus on Footy” potential board challenge at Richmond at the end of 2016 would not even be possible in Adelaide (maybe a good thing). The questions as posed, while seeking more information about the mysterious Collective Minds pre-season (and ongoing) work, ask completely the wrong questions. The who questions simply seek a scapegoat, assuming blame needs to be apportioned without really knowing what actually occurred. The what is a much more important question. What is Collective Mind? Are their methods built from a sound intellectual base? Are its operators appropriately qualified to undertake this kind of work, particularly as it relates to Indigenous players? What mechanisms does the club have in place to ensure Collective Mind is safe? For the most part these are reasonable questions and if the Crows are unwilling to answer any of them for reasons of confidentiality or competitive advantage they should be forthright in saying so. Again, Crows fans may feel that the club has not been forthright with the injuries that have wrecked their season. It is perhaps reasonable to ask for an explanation of the why rather than the specifics of the situation. It is unreasonable to expect the Crows to go into any detail about training or rehabilitation that the club would consider its proprietary information or would potentially give an opponent any sort of advantage. All fair points – the change of personnel in the Crows’ communications department has reduced their social presence. But this has absolutely nothing to do with the on-field performance. Putting aside the grammatical morbidity of updating updates, who gives a flying fruitbat? Ok, now we’ve entered orbit. Does our friend seriously think the club (or the players for that matter) are going to make any meaningful comment on contract negotiations? Player retention does seem to be an issue but, if so, surely that is more about culture than the specifics of Sloane’s situation. If only one of the five million AFL journalists had thought to ask anyone at the Crows why they aren’t playing so well, it would have saved this fan from asking the same question. What’s that? Oh, you want the REAL answer. Again, a journo will just need to ask for the real answer next time and they’ll totally say something different. What, if anything, is the real issue? But snide aside, let’s get back to the issue here. Do the Crows owe their members an explanation about anything? Well, structurally, absolutely not. As you would expect of any organisation whose board is controlled by the AFL, they will extend as much consideration to members as is considered sufficient to sell memberships. The existence of member elected directors is merely a stunt designed to give the appearance of democracy. All the more so because a former club champion is usually put up as a candidate so no grass roots member will get a look in (the two current member elected directors are Mark Ricciuto and Rod Jameson). Perhaps perversely, when the SANFL held the Crows’ AFL licence at least there was a level of accountability there which no longer exists. There are structural issues here worthy of concern for Crows members which may be bleeding into the cultural. It is also worthwhile noting that Port Adelaide is effectively controlled by the AFL and the AFL appoints all directors to its board (club members are able to vote on two nominees which still require AFL approval, potentially making it even less democratic than the Crows). So, there’s a real concern here that the culture within the club means it has become distanced from its members. This could have engendered a lack of accountability for decisions like engaging Collective Mind and not coming to terms with the AFL’s only female premiership coach, instead allegedly using the position to avoid the football department luxury tax (ok, I added that last one in – it is still mind boggling that a club as wealthy as the Crows didn’t see it as a priority to retain Goddard, even if that meant constructing a role for her in the winter). These are reasonable concerns, but they seem churlish when raised only in the context of poor on-field performance. Reversing the perspective, would the club’s lack of accountability and emerging cultural issues be ok if the Crows were on top of the ladder right now? They were last year when exactly the same systems were in place. The fact that the Crows have given all staff a mid-season media break until Friday may be indicative of a club that doesn’t feel it is accountable but that may very well only be because that is a universal truth of the AFL. This is further enhanced by the particularly underwhelming flavour of vanilla in Andrew Fagan’s note to fans on 19 June. So, this Thursday, if you are thinking about contributing to the #WeWantAnswersAFC campaign, please ensure that it is funny. Alternatively, fight for the football club you want to support – one which has not merely become the shell of a football club, controlled by the AFL to generate revenue. But do it all the time, not just when you’re losing. Me? I’ll keep arguing for a re-structure of the Adelaide Football Club so the board is meaningfully accountable to members. Even maybe that the club should be controlled by South Australians. I won’t be holding my breath. Things are definitely awry at Adelaide. What has been suggested about the way Eddie Betts was treated on the camp is horrible. What happened should be revealed; but I have little faith it will. 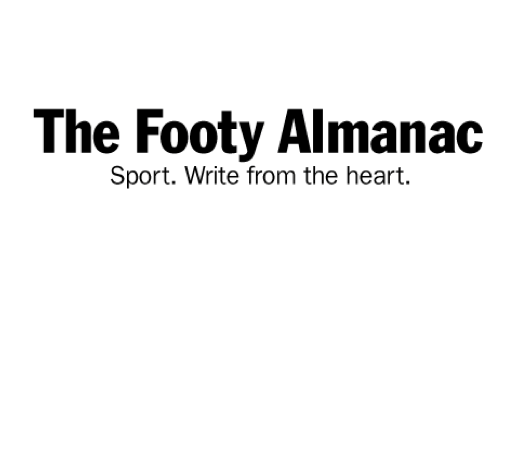 The lack of transparency is not good: but, as you mention this lack of transparency and accountability is structured into the very existence of the AFC – and probably as a rule throughout clubs in the AFL. Although, Richmond FC is ‘member owned’, the role members is largely limited to being consumers and customers rather than being engaged in shaping the direction of the club. I would prefer to see greater independence of clubs vis a vis the AFL. Does following Norwood offer a stronger feeling of satisfaction, engagement, identification? Thanks for the comment Andy. Yep, definitely feel a much greater level of engagement and identification with Norwood and my local club Hope Valley. I’m pretty much done with the AFL/Crows other than as an interested bystander. Look I don’t know how long ago Phil Walsh died, but that sort of thing is a ticking time bomb for any organisation. It can creep up on you when you least expect it, especially if things are not going well, such as if you lose a grand final. The loss of Crimmins at Hawthorn and the loss of Millane at Colllingwood produced different outcomes, Hawthorn won two premierships whereas Collingwood went down the drain. But both incidents traumatised the clubs. All I can suggest is the Adelaide club closes ranks and goes back to the drawing board. They have been through a hell of a lot. Even if it takes a couple of years, just try and regroup. What about the impact on the Almanac? Was Rulebook sharing a tent with Eddie at the camp? 17 Crows match reports in 2017, none in 2018. Swish wrote 7 last year and only 1 this year. In fairness one of last year’s was about the Grand Final debacle, so his trauma started even before the camp. On the plus side he has offered me 3 seats at the Eagles/Crows game next week for $20 the lot. I would have only offered $10 if I’d known Josh Kennedy was out for a month with a knee fracture. Our correspondent Diogenes Brown is 4/0 and attends all Crows media conferences with a lamp looking for an honest man. His Crows are driving Mickey Randall to drink. 50% more pub reviews than match reviews this season. When the Crows are on telly he nips down the Broady to watch the dogs in the PubTab. And the impact of the Crow dive on Adelaide’s youth? Young Aidan Hammond is unsighted. Rumoured to have given up footy for the Junior Boys draw at Wimbledon. He and Lleyton Hewitt are both over their after cancelling their AFL Live app subscription. I’ve been concentrating on Twitter PB, the AFLX of writing. I hadn’t been aware of Crow Almanackers hadn’t written many match reports this year. Maybe they thought they would not have an opportunity to have their pieces into a book? Or being traumatised from the Grand Final loss? This season is going bad for me as a Sainter but I never lose willingness to write match reports. I want to be a 200-game writer. Expressing my emotion related to footy is good for my health. I guess playing my own footy influences me positively. Onya Yoshi. 200 articles on the Almanac website. Great goal. Life membership? Hall of Fame? Legend Status? (Rule)Booker Prize winner? Name on a locker at the North Fitzroy Arms? Glad you are enjoying playing the game. I take all my frustrations out on a golf ball. A man’s got to have a hobby. What can I say, Richmond broke Adelaide last year. On the weekend after the Grand Final, everyone assumed that the Crazy Tribe were breaking Swan St but it recovered by Monday, no real harm done. Not so Adelaide FC. Imagine being the team that let that genie out of the lamp? Cheers PB. I wish I could get all. It nice that you reduce your frustration with golf. These questions are I think not constructive ones… I agree with you that these are what silly journalists ask the club. Why do fans want more social media respond? St Kilda Football Club don’t respond to supporters’ comments so much. As for the Collective Minds, you can find the great solution to create good club culture by reading Paul Roos’ book entitled “Here it is”. Re: injury issues – AFL is a high contact sport. Kicks are made with lots of body movements. My ankles, knees, thighs and hamstrings often cry after many kicking. It’s hard to avoid. I also had a fractured finger bone. I need to get used to the former unfamiliar body movements and then I will get stronger. Good article to read, mate! Upon returning from Singapore our boys did a couple seasons of Auskick at Glenelg and despite our family not taking out any financial membership at the Crows we receive emails from them which leave me in no doubt that they’re counted for marketing purposes and as such are sold to various AFC and AFL sponsors and commercial interests. And, of course, this is our sole function. Having said that I’m looking forward to the bye! Where to start? Do I guffaw hysterically or do I take this seriously? OK – serious it is. The most telling point in this piece is the revelation that the Adelaide Crows is just an AFL construct, more so even than other clubs that at least enable their members to have some say about board membership. From this, the rest follows. This apparently strong, professional organisation seems to be a well-functioning business. But it seems a pretty soulless “club” when judged by the way it’s been dealing with various forms of adversity that have hit it since 30 September 2017. Its reaction to the Grand Final defeat looks to have been knee-jerk and overly-dramatic. Granted, it must have been a shock result, but isn’t that the point? The very notion that the Crows might have thought the Cup was in the bag (or on the plane, haha) is symptomatic of a lack of an authentic, strong culture. I can’t speak about the quality of the Collective Minds approach, but my observation of such initiatives is that if they are treated as gimmicky box-ticking exercises rather than embraced genuinely and honestly by all concerned, they haven’t a hope of succeeding. – the creation of a mechanism through which a long-term animosity (chip on the shoulder?) towards Victoria could be channelled. When times have been good, the club and its supporters are boorishly and parochially exuberant. When they haven’t, there’s a dramatic silence, as most of the “fans” suddenly re-discover that the SANFL is where South Australian football’s real heart lies. There’s an absence of the rusted-on loyalty that is the hallmark of real footy clubs. Frankly, if the #WeWantAnswersAFC has truly been instigated by Adelaide supporters, then it only further underscores my point. It reads as an ill-conceived litany of complaints born out of a sense of smug entitlement rather than any genuine passion. One wonders how many of them would still be watching if the failure lasted for 37 years! Thanks for the read and comments folks. A few years ago now George but it still looms large (for all except some Richmond supporters who seem to think losing to them was the worst thing that’s happened in those young men’s life’s in the last five years). A good run with injuries and they are back on-field next year, particularly with at least three top 20 picks in this year’s super draft. Yep, just as the players had their phones taken away by Collective Minds, PB, it would appear they have also taken our pens. Young Aidan Hammond is too busily emulating his namesake Bob as a dominant key position defender for the undefeated Walkerville U12s and the carnival winning SAPSASA East team. I haven’t been to an AFL game all season and don’t plan on it. Glad you’re enjoying playing footy Yoshi. We could all do with a dose of the perseverance of someone who chose St Kilda. I just tore a calf muscle running a training drill at my son’s footy training, so I hear you about footy’s Impact on the legs. I hear a Richmond guernsey was spotted on the grassy knoll too, Joe. Onya, Rulebook. As always the Redlegs are fortunate to have you on board. Intended to be taken humorously Stainless, with the exception of the deeper point of ‘don’t be surprised if an organisation structured to be unaccountable starts to behave that way’. Hope you’re not suggesting SA Almanackers’ commitment to their SANFL clubs has been anything other than unwavering. Wonder how many Richmond fans would still be about if they only played in the VFL. Dave, there’s been a bit of similar hoopla around Carlton this week. I would have thought we were in a deeper hole than Adelaide. Structure doesn’t necessarily dictate accountability. Once an organisation sets its mind on not being accountable, it will do s come what may. Some turn it into an art form.